An elevator pitch straddles the line between being a simple concept to understand and a challenging art form to truly master in practice. The name says it all: pique a prospective benefactor’s interest in your idea, product, business plan or even candidacy for a job within roughly the span of an average elevator ride. Instead of memorizing a Shakespearean script, you only have to tell a witty cocktail party story. That’s where the elementary simplicity of the elevator pitch ends. You then have to narrow your spiel down to the essential enticing details you can smoothly weave into a handful of sentences from a sea of factoids, selling points and exhaustive, utterly fascinating research. All the while, the seconds you have to captivate your mark whiz past like bullets spewing from a machine gun. No matter what you shill, uphold this single conditional statement as an infallible absolute: if you cannot find a way to explain something simply, you may not understand it yourself. That is exactly what sets the elevator pitch apart as the quintessential litmus test of an idea man’s mettle. You have 60 seconds to define the problem your proposed business aims to tackle, describe your solution, paint a picture of your target market, identify your competition, introduce your team and present a financial summary alongside suggested milestones demonstrating your company’s traction. When laying out your problem and solution, accept that you do not have to attack something massive. It just has to be a conundrum worth solving. Simple is fine. As long as you have a clear problem statement, you can focus your novel plan of attack on a single idea inspired by one plainly drawn issue within a few sentences or bullet points. Of course, your proposed solution must also take into account exactly who grapples with your specific problem, how many individuals are likely to buy into what your business would sell and how you envision that market as divided segments. Next, you have to know who else will assuredly be vying for the same market’s attention and money with alternative solutions. More than likely, that will also inform how you describe each member of your team, what everyone brings to the table and which positions are still awaiting the ideal man or woman for the job ahead. Your financial summary likely won’t amount to much more than who pays your company’s bills and what expenses you anticipate, but that doesn’t make it any less important to your pitch. After all, that will lead into discussing how you plan to achieve your explicitly stipulated goals and on what manner of timeline. That’s the clinching element that punctuates your statement that you have taken this idea seriously enough to bring some immersive thought to bear behind it. For the love of Don Draper, abandon your notions of ‘impressing’ a prospect. No matter what you say, you stand apart from or above nobody. It makes no difference in the long run how many million-dollar names and loaded corporate buzzwords you drop. In essence, you have probably managed to insinuate your own superiority by coming across as some self-styled intimidator. It’s all fun and games until the Chihuahua barks incessantly at an English Mastiff and realizes just how ineffectual and irritating its yapping can be. A sales rep’s elevator pitch is about illustrating results. A truly smooth operator magnetizes prospects by focusing on the issues, needs and concerns costing them sleep night after night and how he can ease their burdens. Their pitches invite discussion and leave leads wanting to hear much more. People are never more susceptible to persuasion than when they are made to feel as though their troubles genuinely matter to someone. There are few sink-or-swim moments in an adult like quite like being thrown flailing into the deep end by this open-ended request for a dazzling extemporaneous self-introduction. The first time you have to summarize your personal character in a few brief sentences, you may very well drown. With each successive leap into the water, you tread water just a bit more confidently. Dive in enough times, and you find yourself merrily backstroking. Welcome to the essence of the elevator pitch. You have less than a minute to set the tone for everything you may have a chance to tell your potential new boss about who you are and what type of work you do. Think about your desired outcome, and tailor your introduction accordingly. Structure everything around your specialty. If you are an in-demand accountant with 15 years of experience under your belt, don’t mince words painting yourself as a Jack-of-all-trades journeyman who happens to have a knack for numbers. If you want to be distinctly remembered, show your prospect the highlights of your explicitly defined wheelhouse. That includes letting them know what you have been up to lately as a means of further filling in your expertise and being clear about the course you would like to follow in the immediate future. This is exactly where every elevator pitch template converges upon a single objective: cajoling a prospect to say, ‘Tell me more.’ For the job-seeker, that could mean being asked to elaborate on why you would want to explore new job opportunities. When pitching a product or a business plan, a pitch that properly teases something that sticks in someone’s mind like a splinter will end in an exchange of contact information and an offer to sit down for a more in-depth discussion. The elevator pitch is not built for an on-the-spot ‘yes’. Your driving objective is to guide and expand the conversation. Like any sharpened public speech, an elevator pitch comes together only with writing, rewriting, practice and as many trips through that cycle as you need to sweat nary a bullet when launching into it. Even a few rehearsals each day ingrains your approach a bit more deeply until you can share the strengths and facts associated with whatever you happen to be selling with a smooth, knowledgeable organization. Focus flows from repetition, though. Don’t rattle off five or six things you know a little bit about. Emphasize the clarity of a few bullet points to convince someone that you know far more than you have time to tell at that specific moment. When those elevator doors open or once you move along through the rest of your networking crowd, you may not have a concrete ‘yes’ in your pocket, but you could have a business card and a follow-through reminder to add to your next workday’s agenda. I read this and thought it might be something for you. 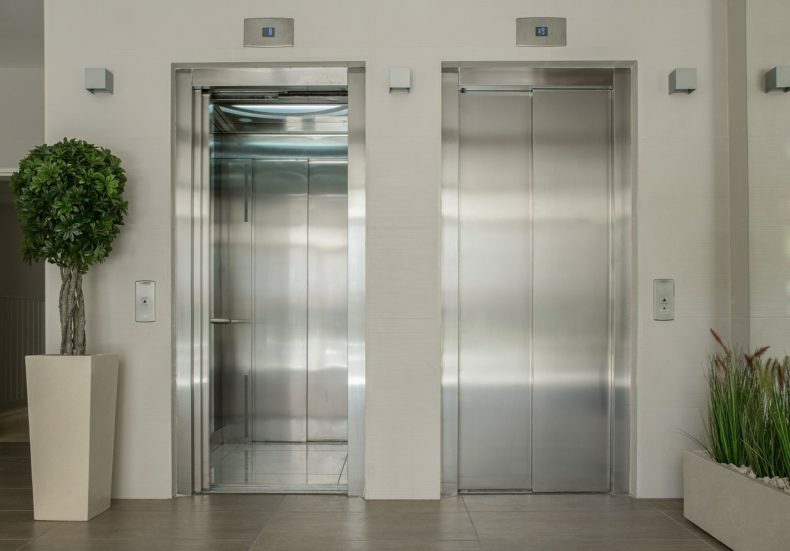 The post is called How To Craft The Best Elevator Pitch For Your Business Or To Land A Job and is located at https://motivationalspeaker.biz/craft-best-elevator-pitch-business-land-job/.